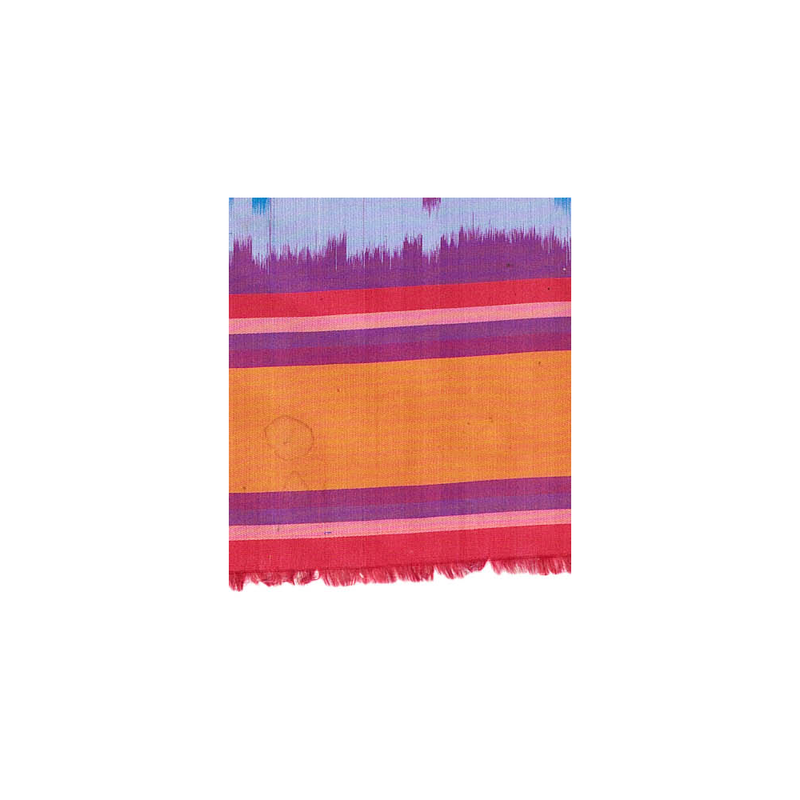 Ikat panels like this were woven on an extra-large loom that enabled the creation of large-scale, one-piece ikats that could be used as hangings or quilt tops. 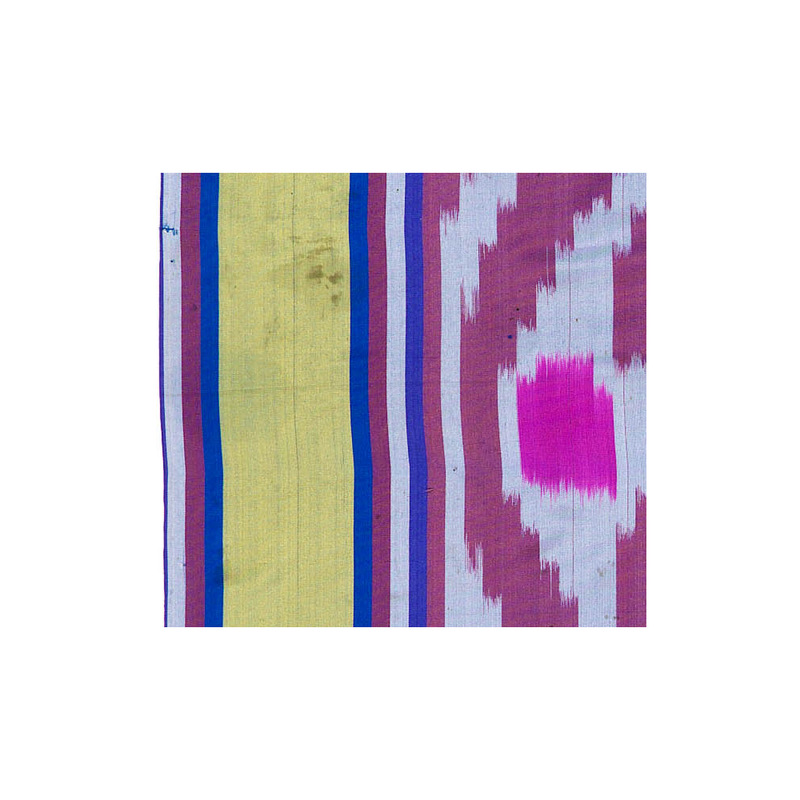 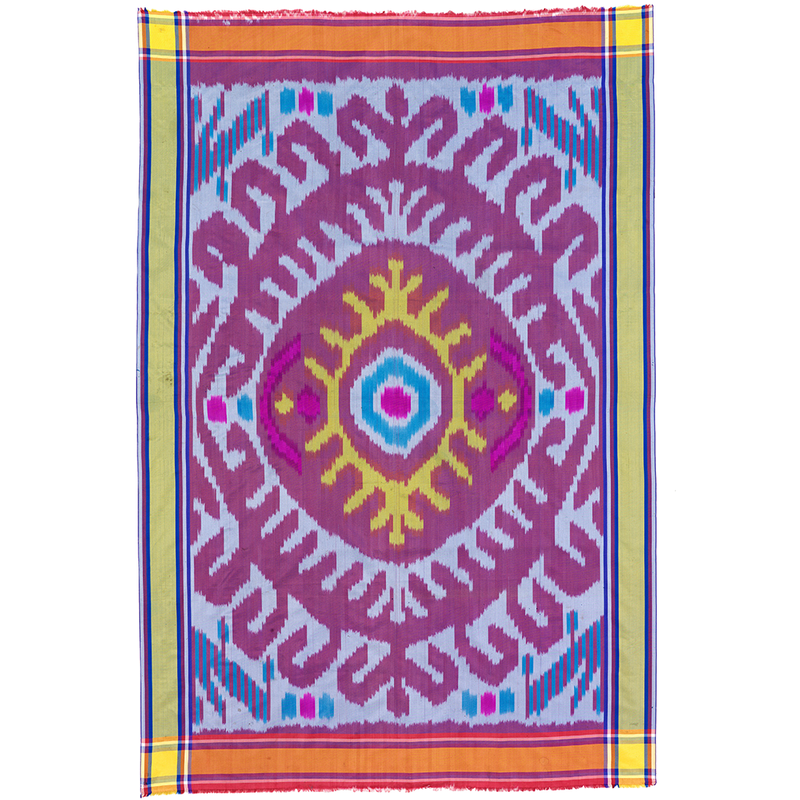 This type of ikat was produced as early as 1918 and as late as the 1960s. 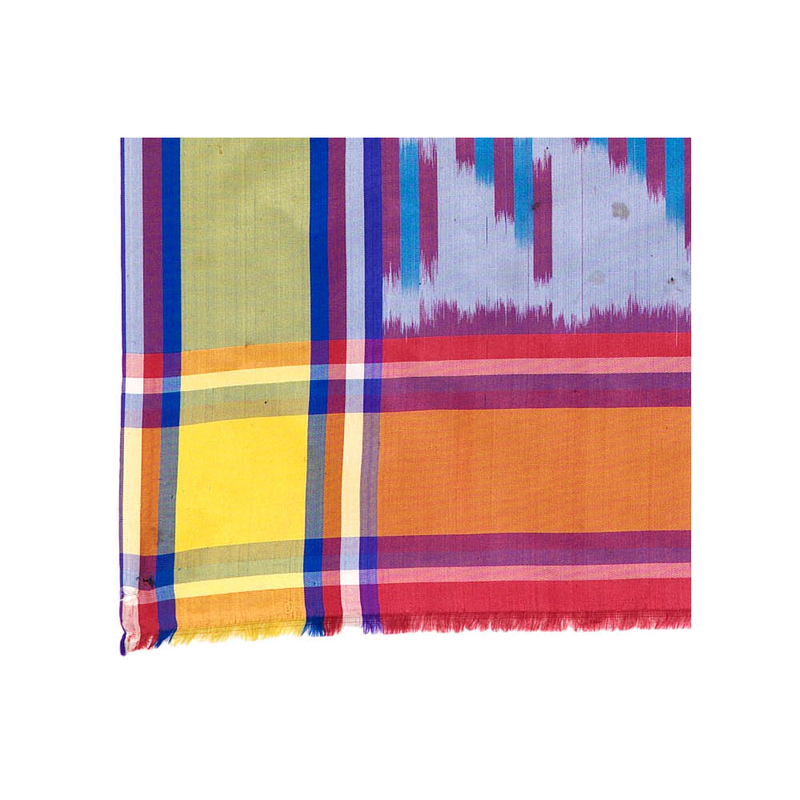 This piece was made in the Samarkand silk factory 26 Bakinskih Komissarov. 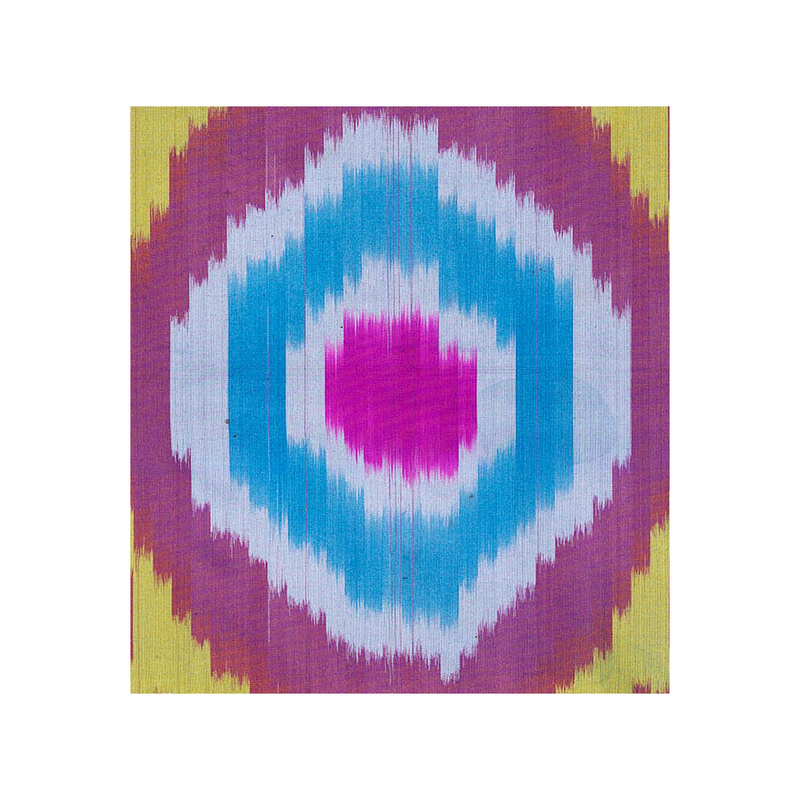 If you are interested in this ikat panel and would like more information please contact Susan Meller.